Originally Published by ME on the Devon and Cornwall LUG Website. 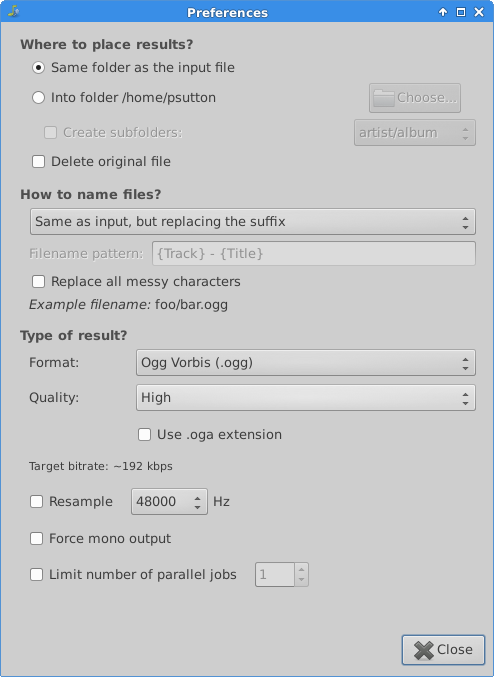 I recently had the need to batch convert some files between mp3 and ogg vorbis. 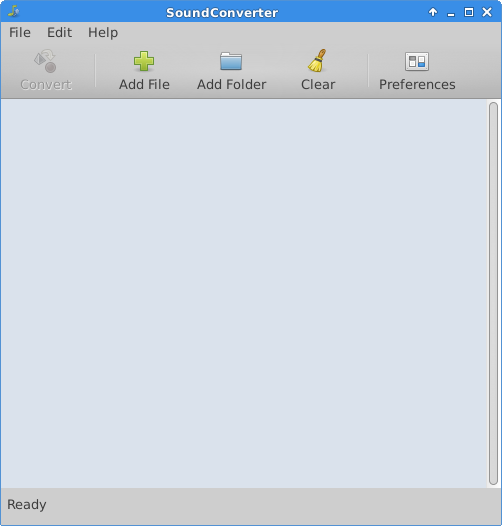 From the Ubuntu forums the tool sound converter was suggested. Once loaded you get the above screen, the options are self explanatory for the most part but I will cover the related screens briefly. Open file allows you to open a single file. Add folder allows you to add a folder to convert, this will allow batch (multi) file conversion. 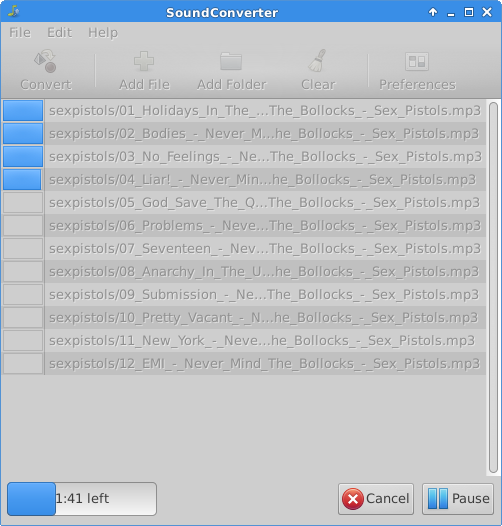 The preferences allow you to set various options, the output file type and sampling rates etc. 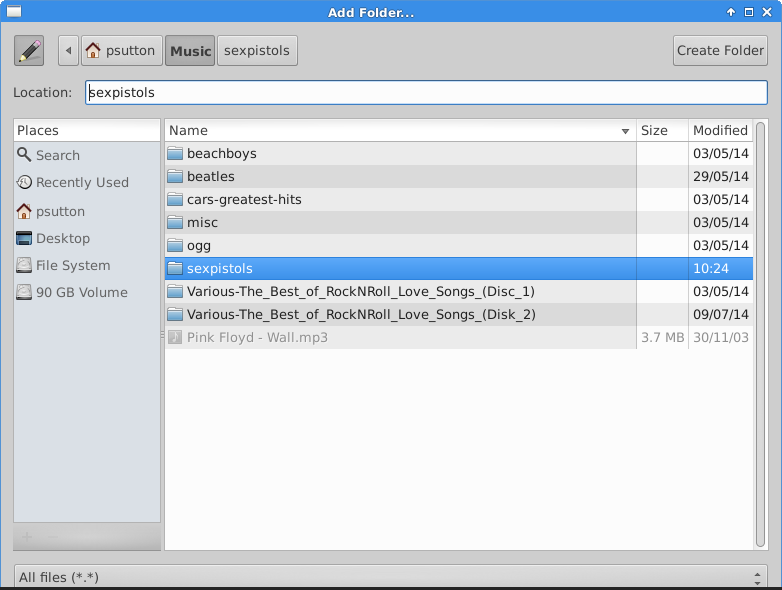 You can also specify where files are saved too etc. Once you have set options, press close then press convert in the main window.